It took Samsung two years to refresh the Galaxy Tab S2 – a tablet that was first released in 2015. Last year, many were expecting to see a new Samsung Galaxy Tab S3, but instead, the tech giant came in with a refreshed Galaxy Tab S2. At this year’s MWC event in Barcelona, Samsung skipped the launching of the Galaxy S8 and instead, its attendance of the event was mainly to unveil the new Galaxy Tab S3. The tablet has since gone on sale in different markets across the globe, with those in the U.S. able to get their hands on the slate for a cool $600. 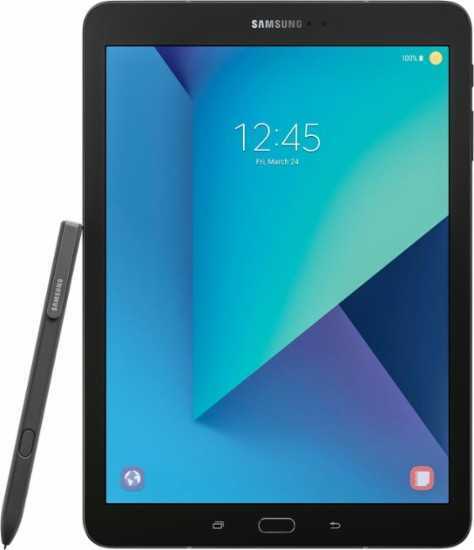 Usually, this is not the price that we are used to when it comes to Samsung Galaxy Tab S tablets, but due to the goodies that the Galaxy Tab S3 brings to the table alongside a bunch of premium hardware specs, there is no doubt that this price tag is justifiable. As usual, not everyone agrees with such a statement and if you are among them, Amazon has something good for you. As at the time of this writing, the American retailer has just confirmed that the new Samsung Galaxy Tab S3 can be yours with $50 off the usual price. As noted, the Tab S3 goes for $600 in the U.S. With this discount, it means that the tablet is now available for $550. The package will include the tablet, an S Pen, a power adapter, a USB-C cable as well as a quick start guide. In terms of specs, the Galaxy Tab S3 brings you a decent 9.7-inch display screen, a Qualcomm Snapdragon 820 SoC paired with a flagship 4GB RAM and 32GB of expandable storage. The back of the Tab S3 has a 13MP shooter while the selfie camera has a 5MP lens. To keep it on, the Korean tech company went for a 6000mAh battery unit that supports fast charging technology. In terms of software, you get Android 7.0 Nougat out of the box. The Galaxy Tab S3 has a premium glass and metal build with a front-mounted fingerprint scanner. The device also allows for the addition of Pogo keyboards.